Free for a limited time at Amazon, Herbal Remedies Kindle Edition. “Herbal remedies are a way for you to stop being so reliant on prescription medication and get more in tune with nature! From curing your gout to arthritis to preventing cancer. Herbal remedies are helpful with it all. Of course you’ll need a variety of herbs on hand to truly be able to utilize the effects of herbal remedies. From lavender to peppermint oil to ginseng. They call can be used to help you overcome high cholesterol, high blood pressure, and so much more. Keep a happier and healthier you while still staying safe with the help of herbal remedies. 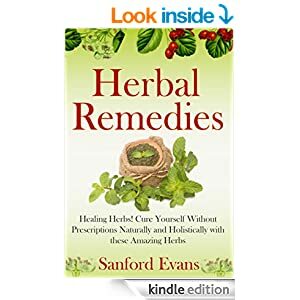 You’ll find the healing properties of various herbs to be nearly endless, and all of the herbs in this book can be commonly found in your local pharmacy or grocery store. Posted in Books, Homesteading, Medical.